Deborah H. Atkin, M.D. reveals the typical requirements for patients considering Restylane® Silk for lip enhancement and facial rejuvenation, touching upon the benefits of treatment. 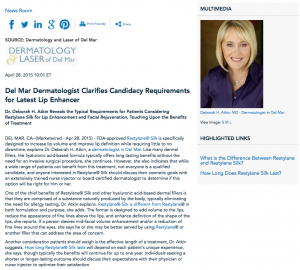 Del Mar, CA—FDA-approved Restylane® Silk is specifically designed to increase lip volume and improve lip definition while requiring little to no downtime, explains Deborah H. Atkin, M.D., a dermatologist in Del Mar. Like many dermal fillers, the hyaluronic acid-based formula typically offers long-lasting benefits without the need for an invasive surgical procedure, she continues. However, she also indicates that while a wide range of patients can benefit from this treatment, not everyone is a qualified candidate, and anyone interested in Restylane® Silk should discuss their cosmetic goals with an extensively trained nurse injector or board-certified dermatologist to determine if this option will be right for him or her. 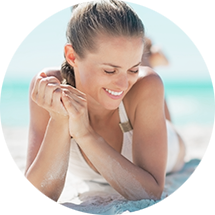 One of the chief benefits of Restylane® Silk and other hyaluronic acid-based dermal fillers is that they are comprised of a substance naturally produced by the body, typically eliminating the need for allergy testing, Dr. Atkin explains. Restylane® Silk is different from Restylane® in both formulation and purpose, she adds. The former is designed to add volume to the lips, reduce the appearance of fine lines above the lips, and enhance definition of the shape of the lips, she reports. If a person desires mid-facial volume enhancement and/or a reduction of fine lines around the eyes, she says he or she may be better served by using Restylane® or another filler that can address the area of concern. Another consideration patients should weigh is the effective length of a treatment, Dr. Atkin suggests. How long Restylane® Silk lasts will depend on each patient’s unique experience, she says, though typically the benefits will continue for up to one year. Individuals seeking a shorter or longer-lasting outcome should discuss their expectations with their physician or nurse injector to optimize their satisfaction. Ultimately, Dr. Atkin believes that Restylane® Silk can offer a number of benefits for people seeking to refresh their appearance and to add volume to their lips; however, only qualified individuals should be treated to ensure the highest level of safety. Similarly, she suggests that patients should seek out a board-certified physician who prioritizes patient education, comfort, and results when selecting an injector to optimize the experience from start to finish. A board-certified dermatologist, Dr. Atkin earned her medical degree with honors from the University of California, Los Angeles, after which she completed an internship in Internal Medicine at Scripps Clinic and Research Foundation and a residency in Dermatology at the University of Arizona. She has achieved numerous accolades, particularly for her volunteer work, including the Ciba Geigy Award for Outstanding Community Service. 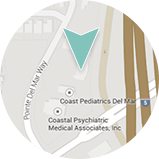 She is also an active member of several esteemed medical organizations, including the California Academy of Cosmetic Surgery, the American Society for Laser Medicine and Surgery, and the San Diego Dermatological Society. Dr. Atkin is available for interview upon request.